Well we can certainly say for much of the Northeast region of the United States that winter is definitely here. With the wind and willow of it all, we find ourselves wanting to turn ourselves in for the night where we can be warm and cozy. Hunkering down can be a welcomed way to find your way to the kitchen and make the most of that heat. Our bellies often find this time uneasy with the constant change of our temperatures as we leave the warmth of our homes and set off into the cold of day. We do ourselves well to keep the motor of our bellies at a consistent hum with nourishing meals to hold heat. 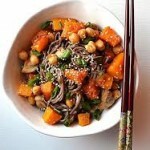 So what does winter cooking for macrobiotic lifestyle look like in this time of year? Elements of Winter Cooking: At this time of year we focus on strengthen and warming the body and moving through the element of water in our system. Here are some particularly good foods that I particularly enjoy to make taste good winter meals. Vegetables: Burdock is one that can be found plentiful around this season. It may strike you at first glance as a dark black brown stalk in the vegetable aisle that you are not quite sure what to do with. Burdock is a root vegetable with wonderful strengthening and purifying properties for the blood, lymphatic system and particularly good at elimination. With kidney and bladder organs in focus with the season you can see how it can work to support the functionality of these two organs. My favorite way to make it is with some thinly sliced paired with carrots and sautéed in a cast iron skillet with some oil and leeks. Sprinkle some tamari sauce and you have a taste treat. It’s easy to find yourself wanting to use a lot of tamari during this season where salt craving is abundant so be aware. 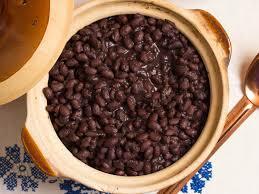 Beans: Black beans are a wonderful warming bean to support your body with high protein and fiber easy to enjoy. Excellent in folate and a great way to keep your weight in balance with holiday meals. 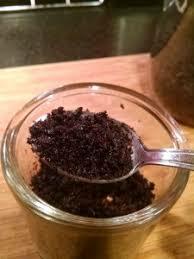 Black beans can often require longer soaking periods as their outer skin tends to take time to soften. The easiest and taste way to prepare them in a winter way is with a pressure cooker. The caramelized flavoring straight from the bean is deliciously moist and satisfying. 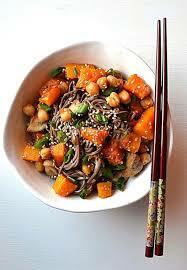 Additional sweetness can be added with a bit of cut up butternut squash or any variety of your choosing. Grains: Buckwheat has a hearty quality to it as a flour often used as variety for pancakes. However, it is a wonderful alternative for the winter to have in noodle dishes. 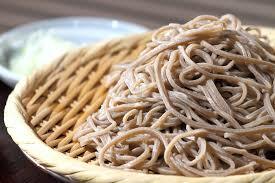 Buckwheat has a flavoring all of its own a nutty variety sometimes referred to as soba noodles. Protective against heart disease and loaded with manganese for making collagen which leads to healthy skin and bones. I like to make a stir fry with them or enjoy a nice warming Japanese noodle soup variety with tofu and vegetables. Condiments: Tekka is one that I like to bring out of the cupboard during the winter time. Its a miso condiment made with a variety of root vegetables and holds a strong salt flavor. A little goes a long way so use sparingly. I like to sprinkle it on rice or if I make an egg. Wonderfully taste, power packed with flavor. So as winter bares its vision of beauty and grace along with its colder temps, take time to find your cozy nook in the kitchen and make yourself at home with these seasonal foods for warmth that nourishes and brings strength to your body.